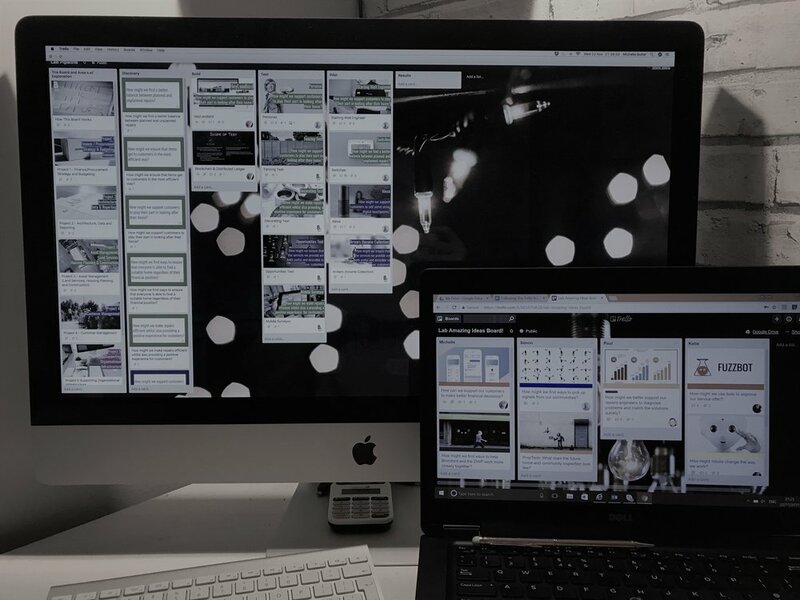 Last week’s diary entry launched our new way of using Trello to work out loud and show the thread from what we are working on back to the exact corporate project or task it relates to in Bromfords’ wider transformation strategy. 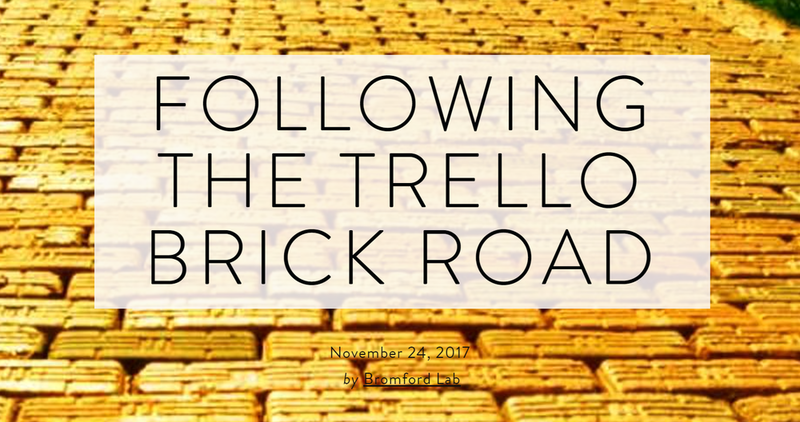 As I said in that post, it is important to us that anyone can follow the ‘Trello Brick Road’, visualising our journey and understanding the what, why and how in relation to our work and the wider Bromford corporate strategy and goals. We’ve had some good feedback on this so far, with people really valuing the transparency ‘working aloud’ brings. At the Bromford Lab, we pride ourselves in working out loud and using open tools that encourage collaboration and sharing. As a team that is spread geographically, this isn’t just something we like to do, it's essential for our team to function. Our methods of working are not without their obstacles though, with one of biggest being how we know what each of us is working on, when and how far along it may be. It may seem simple, but when you can’t just look up and ask you colleague a question across the desk, you could potentially miss out on signals as to what is going on within the team and miss out on important deadlines or opportunities. Now, we could use something like Basecamp or Slack to do this, I know, but we like to keep things simple and our digital channels and apps to a minimum. So we took to Trello and created our very own Mission Control Board, which is essentially the team’s giant to-do list. Before you ask too, yes, it is totally open to the general public. Firstly, I want to point out that the two Trello boards operated by the Lab are very different. The Lab is the approach for how Bromford explores new concepts and design and is much bigger than just the four of us within the Innovation team - included within the Lab are our wonderful Insight colleagues and many others! The exploration pipeline board reflects this by showing the wider Bromford strategy and transformation agenda in relation to the current projects and ideas being explored by the Lab. Our new Mission Control Board is just for #TeamInnovation and will show tasks to be completed, ideas for blog posts and social media engagement plus potential areas for exploration that we haven’t matured enough to go across into the pipeline. The approach is simple - #TeamInnovation put any task on here that they would normally put on their to-do list, assign it to the right person, set a deadline if needed with a brief description of what it entails and then update it and move it along the board as and when required. In our weekly planning sessions, the board will be used to make a note of any actions that arise, as well as updated to reflect the current position of any outstanding tasks. As I said before, literally a giant to do list. That’s it. No smoke and mirrors. No fancy project management app. A simple board that the whole team collaborate and work from. Stop by, have a look and by all means, if you have any suggestions or comments, we’d love to hear from you.